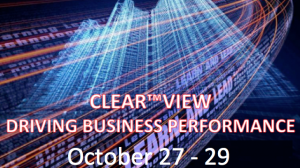 We’re now just six weeks away from our CLEAR™VIEW event, a highly interactive, three day leadership experience for top executives charged with driving business performance through organizational capability and transformational change. There is still plenty of time to sign up! 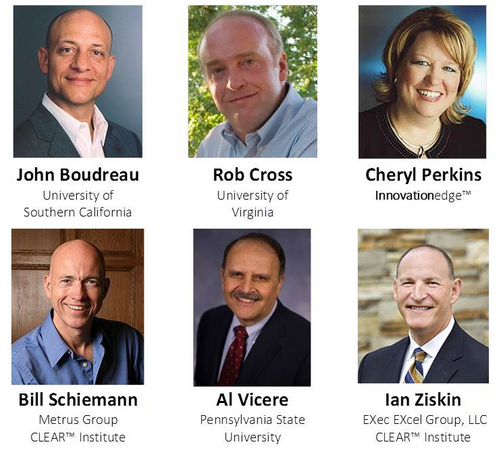 The CLEAR™VIEW program is focused on building practical strategies to address challenges in agility, change, innovation, talent and leadership. In-depth sessions with globally recognized thought leaders such as John Boudreau, Rob Cross, Al Vicere, as well as small group breakouts with CLEAR™ Institute executive coaches are designed to maximize ideas and learning in an intimate peer-to-peer setting. October 27 – 29, 2016 at the Lansdowne Resort and Conference Center in Leesburg, VA.
Business and organizational transformation are among the most urgent needs facing today’s leaders, as they prepare to address future trends and challenges. Responsibility for making organizations more agile, innovative, resilient, and “capable” is increasingly becoming a multi-disciplinary leadership role. With that in mind, CLEAR(TM) Institute is offering the inaugural CLEAR(TM)VIEW program, providing a 360 learning environment. Led by Ian Ziskin, I’ll be among the thought leaders featured, including John Boudreau, Al Vicere, Rob Cross, and Bill Schiemann, as well as group coaching sessions to maximize learning from peers, this program will enhance your ability to deal with transformations ahead!